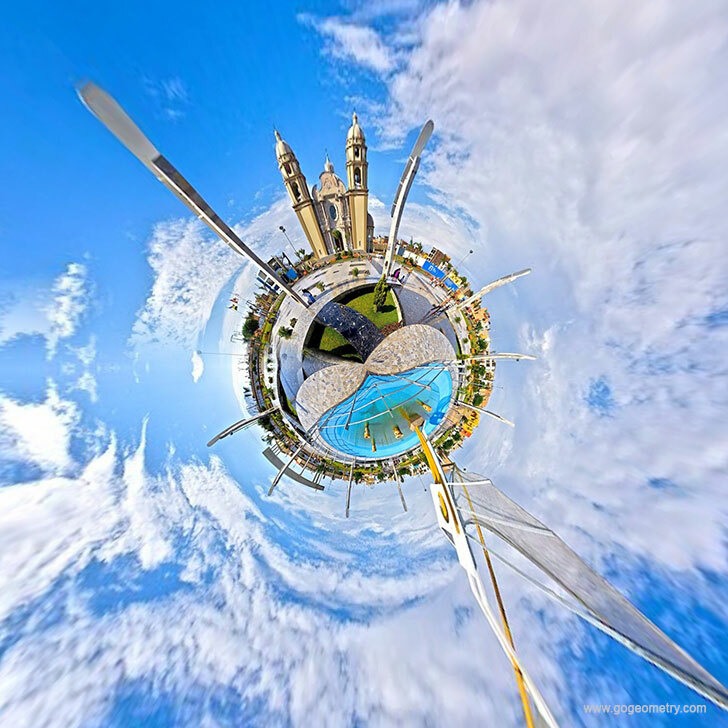 The stereographic projection of Nuevo Chimbote Main Square is a mapping that projects a plane image of the Main Square onto a sphere. Nuevo Chimbote District is one of nine districts of the province Santa in Peru. Sketching of Nuevo Chimbote, Plaza Mayor.